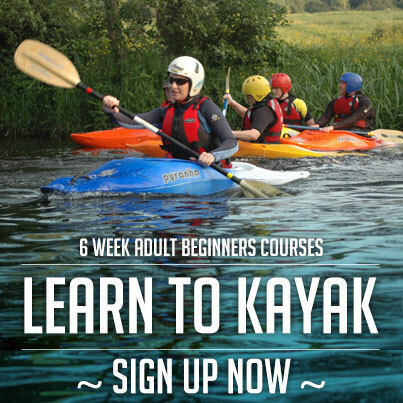 Whether you want to go out for a leisurely paddle or run extreme rivers the Adventure Kayaking section has it all. This is where the true adventurers from the club come from. 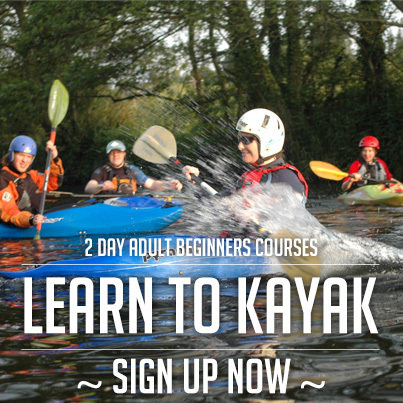 It is the river runners in the club that become instructors and coach the beginner courses. Every second weekend the river runners adventure away to parts far and wide to run rivers of all grades. Most bank holiday weekends they can be seen in the far reaches of Ireland (mostly the West coast) surfing the waves or running down some of the top rivers in Ireland. There is almost nothing of note in Kilcullen and Ballymore Eustace, and the first weir proper on the Liffey is in Athgarvan. There is another in Newbridge and then one at Newbridge College. An old Weir exists at Morristown Lattin and small broken weirs at Millicent and Clane. Overall an astonishingly dull 30 miles or more, but it’s nice for touring. Then we encounter Straffan, at this point the Liffey adopts a whole new character, fast flowing weirs, all with their own personalities and intricacies. A fun grade 2 river that is runnable even into the summer months, although low in water. 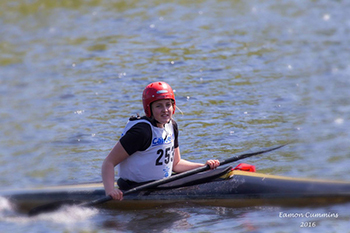 It is enjoyed by even the best paddlers as one of the places they have learned to paddle on. It sports some lovely play-spots at the right water levels. Depending on water level this is either a scrappy III with Jacksons Falls (IV-c) (low water) to a really continuous III+/IV- with Jacksons (IVd) high water with Little Jacksons becoming (Ve) in mega high water (when the main falls is washed out – very rare). This is a great mountain river that is fast and sustained when it’s up. With a lot of rapids, from small drops to long bouncy sections.